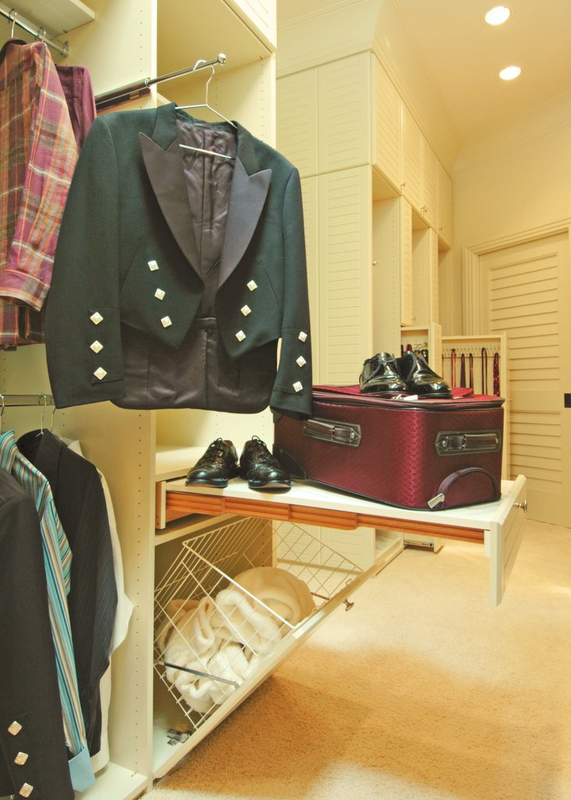 To make the most of a tiny room, Designer Shari Krandel, Valet Custom Cabinets & Closets, Campbell, CA, created a special multi-functional room. According to Krandel, the room is used as a living space for the client’s daughter when she visits. The room has a wall bed and two wardrobes for her clothing. The wardrobe to the left of the bed has a nightstand drawer, which is dual purpose (nightstand and storage) and two additional drawers for clothing, plus hanging clothes above. The wall bed bench provides seating space for hang-out time, with drawers below for her toys. When the bed is down the seat cushions fit behind the bed, creating a backrest. 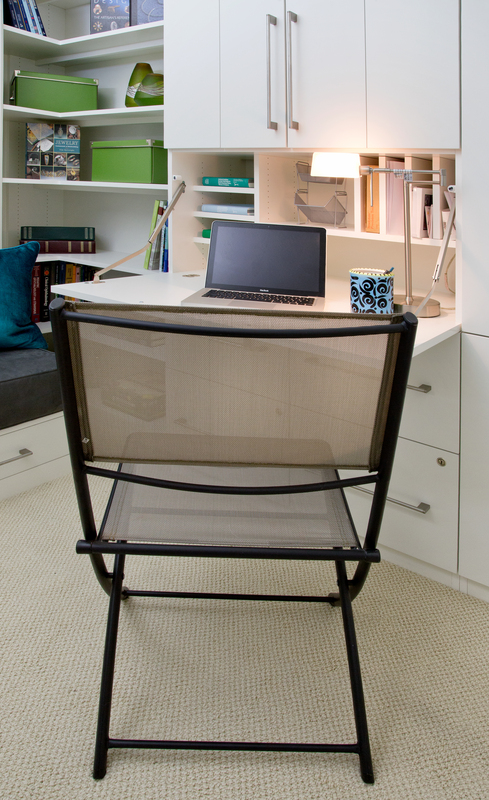 When the client’s daughter isn’t there, the space is used as an office with a drop-front computer desk, storage including paper management slots and locked files for extra privacy when guests visit. Additionally, Krandel says that the client wanted an open area for decorative displays and book storage on the corner shelves. 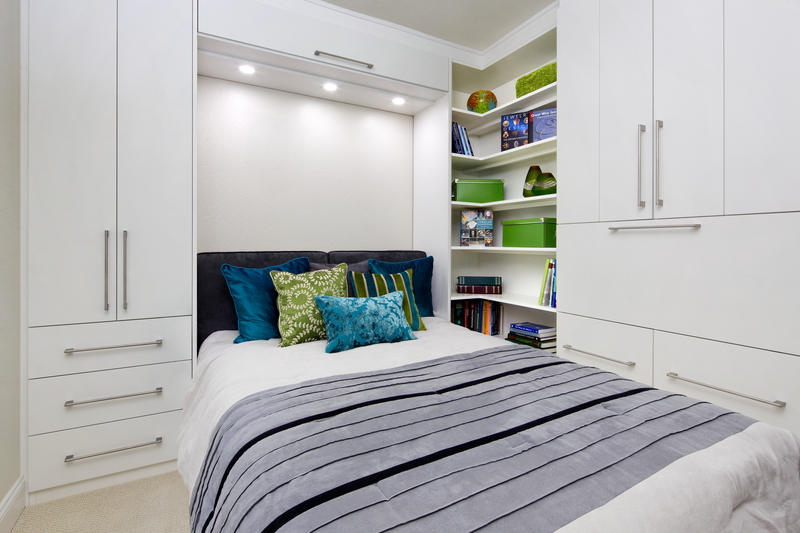 Designed with Cabinet Vision software, the cabinetry is made of white melamine with white thermofoil drawers and doors. Additional features include contemporary bar pulls in satin nickel finish by Hafele and wall bed LED puck lights. 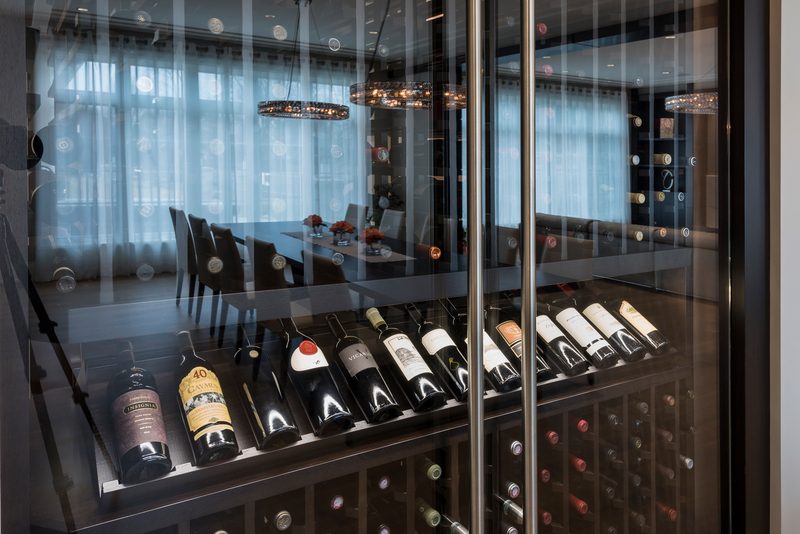 To view more award-winning projects from the 2015 Top Shelf Design Awards contest. Look for details on the 2016 Design Awards contests in the upcoming months.